Many women even go to the extent of undergoing risky cosmetic procedures and expensive botox treatments to get the results they want. But you don’t always have to break the bank or go through invasive cosmetic procedures to enhance your looks. Moreover, many plastic procedures and cosmetic treatments come with irreparable risks and side effects. Long-term usage of Botox can cause neck pain, migraines, and swelling. But the good news is, scientists today have become very innovative in creating products such as peptide argireline to help women achieve their desired results without undergoing invasive procedures. When you apply the product, it gets absorbed into your skin. It causes your facial muscle to contract, so it can reduce wrinkles on your face. This will make your face look a lot younger and natural sans any risks or side effects. Curious to know more about such magical skincare ingredients? Well, here are the five essential ingredients that you can use on a daily basis to rejuvenate your skin. Hyaluronic plays a very multi-talented role in the beauty industry. It can be used on dry or oily skin. Whatever the issue is with your skin, hyaluronic acid can help improve and renew your complexion. This ingredient is actually a polysaccharide that helps hold maximum moisture inside and between your skin cells. Because of its ability to retain moisture, it helps promote a radiant complexion on your skin. Anyone, young or old can benefit with daily usage of hyaluronic acid. If you live in the desert, you will experience constant dryness in your skin. Fortunately, with hyaluronic acid, it can help trap moisture to revitalize your skin. A lot of beauty products contain hyaluronic acid to help moisturize and nourish the skin. For example, Neutrogena has created a whole product line that contains nothing but hyaluronic acid. They often sell this in local drugstores for about $20-$30 per item. 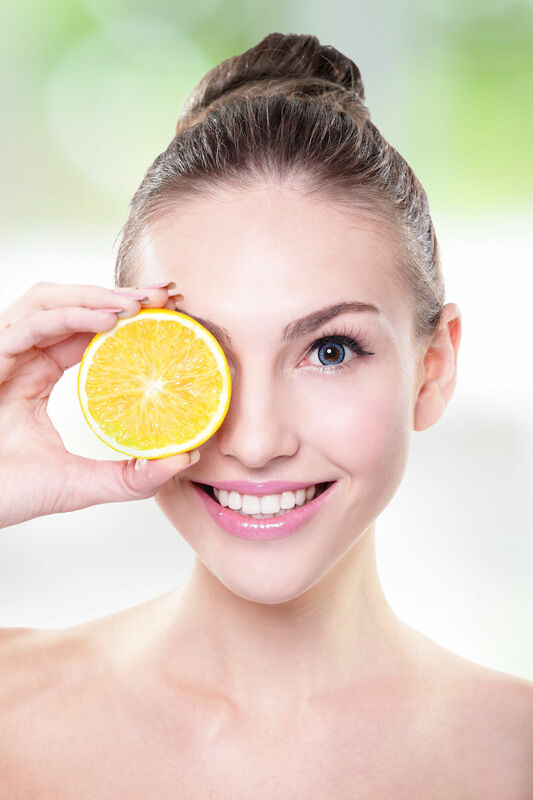 Vitamin C plays a vital role in toning, reducing dark spots, and brightening up your skin. Its excellent anti-oxidants can protect your skin from free radical damage or environmental toxins. Free radical damage is one of the major causes for sagged and aged skin. Fortunately, with vitamin C you can slow down the aging process to rejuvenate your skin. All you need to do is simply add an effective vitamin C serum to your daily skincare routine or use a potent Vitamin C mask on a weekly basis. When creating a facial mask, you can add orange or any citrus fruits in there. This is because these foods are jam-packed with vitamin C. If you apply the mask on a daily basis, you will experience the wonderful anti-aging property of vitamin C.
If you are prone to acne and breakouts, salicylate is an essential ingredient to protect your skin. The ingredients go deep under the surface of your skin and dissolve blackheads to clear clogged pores. It penetrates into the pore and exfoliates inside the skin cells to clear out all the debris. Salicylic acid also works to decrease sebum or oily substance from your skin thereby improving your complexion. If you have oily skin, then you will definitely benefit from salicylic acid. Plus, it also has powerful anti-inflammatory properties that can protect your skin from any toxins and damages. Dermatologist often prescribes salicylic acid for patients who suffer from severe acne. It’s the main component that keeps acne and other skin problems under control. This is also called AHA which is a natural acid from citrus fruits, sugar, and milk. It helps create a beautiful glow and radiant complexion for your skin. It basically gets rid of dead skin cells to remove blemishes or any early signs of aging. This would, therefore, reduce fine lines or wrinkles. Glycolic acid and lactic acids are the most common form of AHA. Both components are perfect for sensitive skin and night-time treatment. If used on a daily basis, it will rejuvenate and radiate your skin. Not everyone knows that a metal like copper can serve as a beneficial ingredient for the skin. Ancient Egyptians used copper to recreate the fountain of youth. This metal has been the symbol of eternal life for hundreds of years. Copper is found naturally in our skin cells and is known to enhance the absorption of proteins, which are the building blocks of our skin. Copper also hydrates and repair damaged skin to reduce signs of aging, lines, and wrinkles. It helps create collagen and elasticity to maintain the strength of your skin. As we grow older, our college loses its strength and elasticity, but fortunately, with copper, it can help replenish our collagen functions. This can be very useful for mature women who want to strengthen their skin. If you take good care of your of your skin, use the right skincare ingredients and be mindful of what you put into your mouth, you can easily and effortlessly slow down or even reverse the aging process to flaunt much more radiant and flawless complexion. These five ingredients are often found in beauty products and dermatology medication. This is mainly because they serve a vital role in providing your skin with maximum moisture, protect your skin from free radicals, strengthen the collagen of your skin, and reduce fine lines and wrinkles. Because of these crucial components, they are often used in over-the-counter lotions and creams, or as prescription medication. If you like to witness its full benefits, you can obtain these ingredients from various sources to create your own facial mask. You can apply this on a daily basis to obtain all its beneficial effects and witness a radiant and beautiful complexion. After all, there shouldn’t be a price for beauty, these magical skincare ingredients are found everywhere in the world. It is up to us to utilize their full potential for our benefit.